Kitchen remodeling is one of the fastest growing niches in the home remodeling industry nowadays. In fact, a 2015 report from National Association of Home Builders state that kitchen remodeling is the second most common remodeling project that year– second only to bathroom remodeling. A separate study by Houzz in 2017, on the other hand, found that kitchen is the most popular room in the home that gets renovated these days – and all for good reasons. Renovating your kitchen space – though may seem costly and daunting undertaking at first – can provide a plethora of practical and aesthetic benefits to the homeowners. The most significant benefit of remodeling your kitchen is that it can significantly increase the overall market value of your home. If you are planning to list your house on the market in the future, keeping your kitchen fresh and updated will increase its chance of attracting potential home buyers. The kitchen space is one of the rooms that most potential home buyers consider before purchasing a residential property, since its existing layout, hardware, and amenities will dictate how easy it will be for them to do their day-to-day kitchen chores. Regardless of whether you will be installing new cabinets, adding some backsplash, replacing your old electric stove, or changing the whole layout of your kitchen space, there are simple strategies that you can do to ensure the success of your remodeling project. To further give you more valuable insights that you can use in your upcoming kitchen remodeling project, here are the key takeaways of the infographic from Mr. 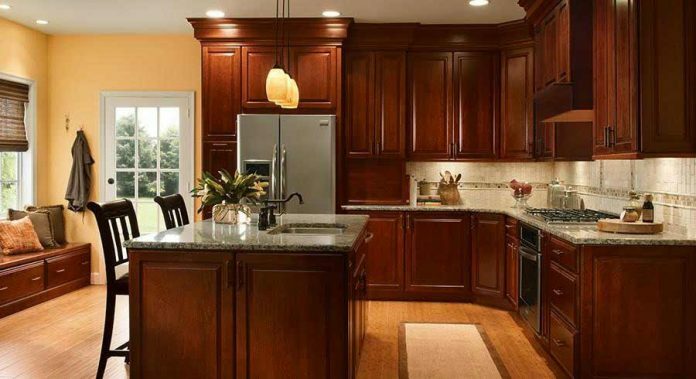 Cabinet Care which details some tips and advice on kitchen remodeling. Focus on your kitchen layout. Remodel based on your budget. Learn more about tips and tricks by checking out the infographic below.